The Green Bay Packers and the Pittsburgh Steelers are headed to the Dallas Cowboys Stadium in Arlington, Texas for Super Bowl XLV and you are … sunbathing in Cabo San Lucas. I’ve traveled enough with my sports-addicted dad to know that when the big sports game is on – it’s a MUST watch. And there’s nothing better than watching Super Bowl with a ton of people, good food, good beer and a big screen TV. I’ve searched through my favorite places and dug up some of the best Super Bowl 2011 parties in Cabo for you. I will be updating as I come across more and if you know of any I’ve missed, please leave a comment at the bottom and I’ll be sure to add! Hope you enjoy 2 x 1 drinks, fun parties, giveaways, contests …. who am I kidding? You’re gonna be in Cabo; of course you do! Hard Rock Cafe will be celebrating the Super Bowl with food and drink specials. Special perk? You get a free gift when you order a bucket of beer and a Jumbo Combo. The party starts at 3 p.m. Pool Parties and Super Bowl Parties do not have to be mutual exclusive. Come enjoy 2 x 1 brunch for the Super Bowl at this popular Medano Beach party spot. The “Amazing Sunday Super Bowl @ Nikki Beach” starts at 1pm. What could be better than hot dogs, hamburgers, pulled pork sliders and home made fires all for $1 each? How about free Chips and Salsa during the game? Cabo Wabo has more than 20 screens and there will be specials on Corona, Pacifica & margaritas. Party starts at 4 p.m.
Baja Junkie will be grilling up delicious food on their patio as well as offering 2 For 1 Drinks all day long! Be sure to join in on their Super Bowl Square Pool. Party starts at 1pm. They are serious about the Super Bowl at Cabo Cantina. This all day party starts with pre-game coverage at 8:30 am with special half-time show and giveaways. There’s no cover charge, but seats will go fast so reserve your spot today! 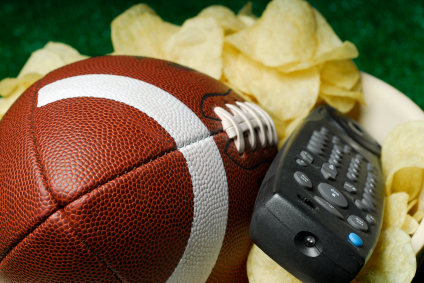 Want your own TV to watch the Super Bowl next year? Squid Roe will be having a 42 inch TV giveaway during the game. Game day specials include 3 QT beer towers for $16.99 and Super Bowl Combo appetizers for 9.99. Party starts at 4:30 p.m.
You came to Cabo for the sun and you want to watch the game on the beach? Located on Medano Beach, Mango Deck has 19 Flat Screens & 2 Giant Screens. Special 2 x 1 Drinks for the game. Also on Medano Beach, Billygan’s will be having a special 1, 3, 4 on drinks: $1 draft beers, $2 tropical shots, $3 cocktails and $4 flavored mojitos. And 10 buffalo wings are only $1. Party starts at 4:30 p.m.
Come watch the Super Bowl at Desperados. Party starts at 1 p.m. The 7 Seas Seafood Grille, located at the Cabo Surf Hotel, will be broadcasting SUPER BOWL XLV and serving a special Super Bowl Menu. Starts at 3 p.m.
Snell Real Estate is hosting their 7th Annual Super Bowl Party. There will be complete coverage of Super Bowl XLV along with tacos, hot dogs, beer, sodas and more. This family friendly party is open to all friends and clients of Snell Real Estate. It starts at 3:30 p.m. RSVP needed. $35 all you can drink national open bar and all you can eat hamburgers, NY style giant hot dogs, chicken burritos, buffalo wings, guacamole and more. Children 12 and under are half off. There will also be a Super Bowl pool. Starts at 4 p.m.
Super Bowl XLV is Sunday February 6, 2011. The Green Bay Packers will be playing the Pittsburgh Steelers. Kick Off is at 4:30 p.m Cabo Time. It’s airing on FOX. And I’ve heard through the grapevine that Shots Bar and Grill is moving to a new location in “Restaurant Row.” They plan to open on Sunday for Super Bowl!